Take a mental picture: The image is a busy office setting, with employees dashing about, phones ringing, desktops humming, copiers copying and collating, meetings convening, and a general din of daily hectic activity. It’s a scene being played out in countless businesses every working day. Suddenly, the main copier shuts down. For some reason it’s not responding. A worker pushes a series of buttons. Nada. A marketing manager wanders by; she intervenes and tries to troubleshoot. Not having any luck. The head of accounting notices the commotion, gathers around and tries to lend a hand. No dice. Same thing with the head of HR; he might have an inkling of what’s wrong. The regional sales manager also chimes in; she might be able to solve the dilemma. Not this time. What’s wrong with this picture? Plenty! When the copier’s on the fritz, is it really productive to corral a half-dozen critical employees to focus on the problem, diverting their attention from their respective revenue-generating roles in the company? Of course not! It’s lunacy! And it’s a Productivity killer. IT directors can relate well to this scenario. When it comes to data management, on-site servers have their place in the world, but among the myriad drawbacks of on-premises systems are the countless hours in downtime and many headaches involving everything from troubleshooting, dealing with error codes and patches, to software upgrades and lifecycle management. When such issues arise, does it really make sense to spend valuable man-hours dealing with these matters? Isn’t an IT manager’s time better spent concentrating on work that bolsters the bottom line — rather than devoting precious hours to deciphering pesky IT annoyances like error codes? Is this the purpose of the certifications they worked so hard to attain? Is this how these highly trained, highly certified, experienced IT professionals should spend their time? How nice would it be if they could apply their hard earned expertise to mission-critical projects that actually generate revenue for their company instead? This is where the beauty of the cloud really shines through. And where your customers are looking to you for guidance. Acknowledging that on-site systems can be plagued with problems that hinder progress on a day-to-day basis, there is a simple cure: Outsourcing IT management to a cloud services provider! 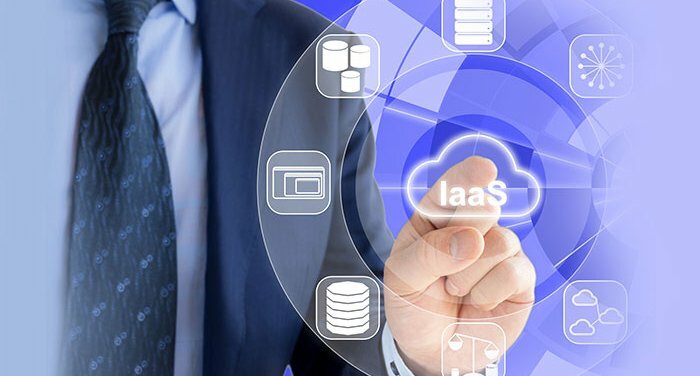 From the standpoint of productivity alone, businesses of all sizes and configurations are turning to the cloud for IT management purely due to the cloud’s practical nature of keeping technology headaches at a distance — literally and figuratively. When IT management migrates to the cloud, so too do the many troublesome, time-consuming distractions like error codes, patches, upgrades, hardware and software maintenance, tape management, etc. that can put the brakes on productivity. At the same time, IT managers can access and manipulate their IT from virtually any device, anywhere, at any time, putting a premium on productivity. It’s the best of both worlds: Since IT management is off-site, it’s out of sight, so your customers can keep it out of mind. Productivity wins! Face it: Your customers are busy. They’re looking for ways to get even busier. At the same time they need to know their IT is being managed fluidly and efficiently, freeing them to do their jobs. The cloud allows managers to keep productivity high, while managing their IT remotely, either in a hybrid configuration, or a total migration to cloud services. Higher productivity is one of the principal reasons the cloud has become so indispensible. With the cloud, the age of the proverbial jammed copier is over. It’s ushered in the Era of Productivity. And it’s a good thing for business, indeed.